Make your entertainment space instantly inviting with this power reclining loveseat with a center console. 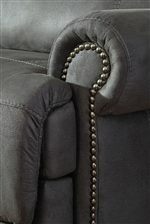 It features supportive cushioning for the divided back and seating as well as rolled arms with nailhead trim for a classic design detail. 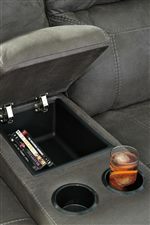 Perfect for movie nights, the center armrest includes two cup holders and a center storage compartment. 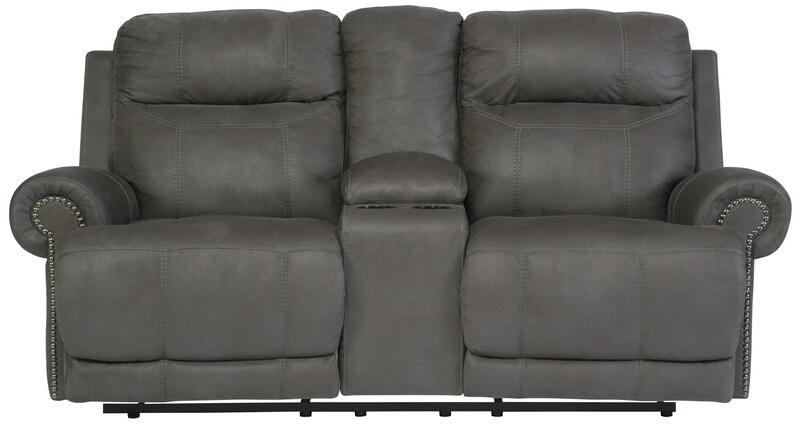 Push button power recline for both ends of the loveseat adds luxury to your lounging. Console storage dimensions 8.50" x 5.75" x 12.00"
The Austere - Gray Double Reclining Loveseat w/ Console & Power by Rooms Collection Three at Rooms Furniture in the Houston, Sugar Land, Katy, Missouri City, Texas area. Product availability may vary. Contact us for the most current availability on this product. Frame Construction Frame constructions have been rigorously tested to simulate the home and transportation environments for improved durability. Corners are glued, blocked and stapled. Features metal drop-in unitized seat box for strength and durability. Comfortable with sophisticated style that blends contemporary and traditional, this collection of reclining living room furniture will be a fresh update for your home's decor. 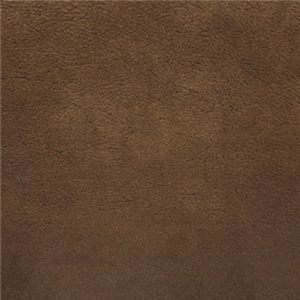 The faux leather upholstery with jumbo stitching has a lived-in suede-like appearance. The reclining mechanism features infinite positions to assure your comfort. 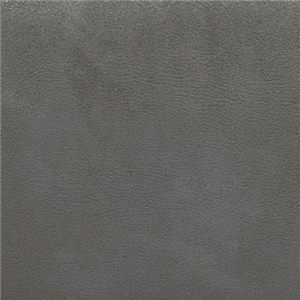 The Austere - Gray collection is a great option if you are looking for Transitional furniture in the Houston, Sugar Land, Katy, Missouri City, Texas area. Browse other items in the Austere - Gray collection from Rooms Furniture in the Houston, Sugar Land, Katy, Missouri City, Texas area.